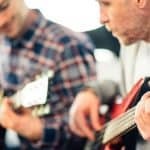 Getting into music education is a wonderful way for musicians with a passion for learning, teaching, and technique to earn a good salary and have a comfortable life. The positions available to music educators is wide-ranging. From entry level instrument instruction, to salaried instruction at a university, to teaching music theory, music history, and more. Most commonly, people find themselves teaching private lessons either through their home, over the internet, or at a private music school. This work is easier to get into, is flexible, and pays well (i.e. you have more control over how you price your lessons). It’s common for private music teachers to have other revenue streams (gigging, selling music, instruction books, etc.) because private lessons fluctuate with the year and the season. However, as we all know, elementary, middle, and high schools need salaried music teachers – as do universities. These jobs are harder to get, but there is a fairly clear path towards getting a job like this. Plus, they tend to pay well and still offer a good amount of flexibility. 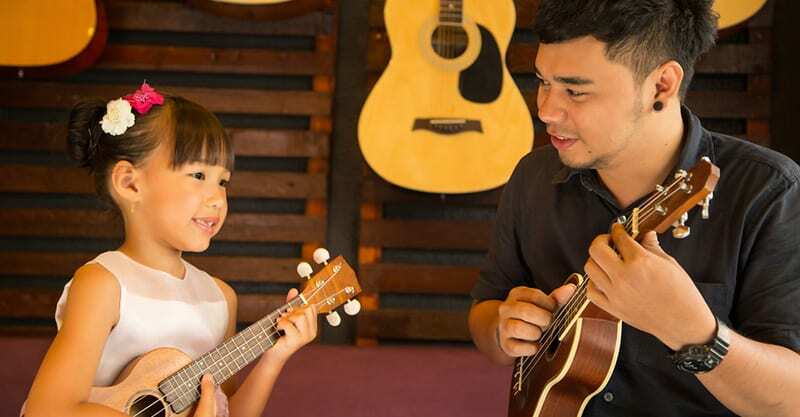 In this guide, we’ll take you through the requirements to teach music in whatever capacity you wish to do so. What Is Compensation Like For Music Teachers? Many (if not most) elementary schools have salaried music teachers or floating music teachers that move from classroom to classroom. Their primary job is promoting an appreciation for music and teaching basic musical concepts. Often, teachers will spend a bit of time covering the history of music and music from different cultures around the world. This will be through the use of easy-to-learn and play instruments such as recorder or percussion. Most elementary and middle school teachers are able to competently play more than one instrument, although most have a primary instrument they teach on. A four- to six-year degree in Music Education. You’ll need a four-year degree in music and a two-year degree in education. 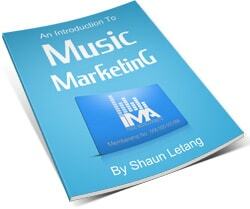 Many music schools offer this in a condensed form that only takes five years, including placements. Placements as a student-teacher. 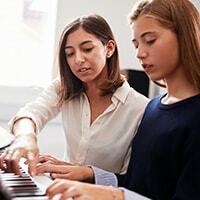 This is usually included in your final year of music education, but you’ll need to obtain the required experience and references as a student-teacher in order to apply for jobs. Satisfy the local teaching requirements. Because education is usually controlled by states/provinces, you’ll need to satisfy whatever the local requirements are to become a teacher. Optional: earn a Master’s degree. Many educators choose to pursue a graduate degree once they have secured a position. This allows them to get a pay raise. It’s not always advisable to come to the table with a Master’s, because it makes you inherently more expensive than other candidates. Some middle schools are home to band programs that employ full-time, salaried band teachers. Most often these teachers are teaching students from a variety of schools to make a larger band. These teachers are teaching students to play an instrument, read music on a basic-intermediate level, play with other musicians, refine their technique, learn basic theory and potentially dive into more complicated ideas (most often in advanced placement classes). This job is not for everyone. First off, middle schoolers are challenging. Second, you must know how to instruct and conduct a full orchestra. That’s tough stuff! A bachelor’s degree in music and an education degree. You’ll need a full four-year bachelor’s degree, as well as an education degree. You’ll need to have taken classes on conducting and on playing multiple band instruments. Student teaching experience. As part of your education degree, you’ll be placed in classrooms as a student teacher. You need this experience as a requirement, but you also need the connections and references. Satisfy your local requirements. As stated above, your school division and state/province will have requirements and tests that need to be met and passed to teach in the area. Ability to play multiple instruments. In order to teach band, you need to be able to competently play every band instrument. This is obviously a fairly large undertaking. It’s common to have an instrument you specialize in, but you’ll be teaching students to make music on a wider variety of instruments – from percussion, to woodwinds, to brass, and more. 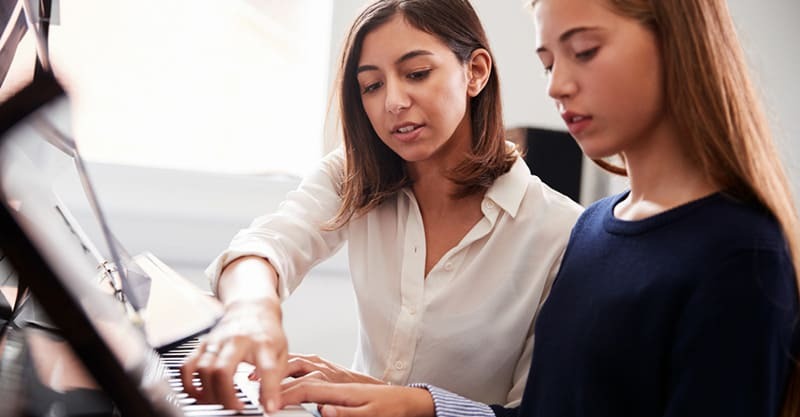 If you completed your music education degree knowing you wanted to teach band, you’ll have ideally taken the correct courses that will prep you for the work. You need to know how to conduct, organize, and teach an orchestra to play. Managing students, parents, and concerts is very difficult. It’s not for the faint of heart! If you’re teaching high school music, you’re probably either conducting and organizing the school’s band/orchestra or conducting and organizing the school’s choir. However, in high school, there are several other avenues for teachers to explore as well. Many high school band programs have jazz bands as well as concert bands, and some even have rock/pop band programs. Generally, students that are in high school band programs have chosen to be in these programs (as opposed to middle school, when it’s often required). For the most part, this is a good thing. Students in high school band are usually easier to work with and more motivated to play well, practice hard, and work at their instrument. It also means that high school band teachers need a higher level of training on their instruments. Band teachers should know their way around every instrument in the band, and have a level of expertise on their specialty instrument. High school choir directors are usually expected to be competent piano players and sight readers. A bachelor’s degree in music and an education degree. You’ll need a full four-year bachelor’s degree, as well as an education degree. If you’re planning to teach choral music, you’ll take different classes. Student teaching experience. As part of your education degree, you’ll be placed in classrooms as a student teacher. You need this experience as a requirement, but you also need the connections and references. You may have to do student teacher placements in middle schools as well as high schools. Proficiency at your instrument as well as several other instruments. As with other teaching positions, a master’s degree increases your pay and your pension. Many high school teachers choose to pursue a master’s after several years of teaching. Becoming a professor is slightly different than becoming a teacher in a school district. While most professors hold at least a master’s in music (if not a PhD), there are plenty of exceptional cases where professors get hired based solely on their accomplishments as a musician. My piano prof in university did not hold a degree in music, but he was a renowned jazz piano player who had played with the greats for years (Meshell Ndegeocello, Bobby McFerrin, Christian McBride, among others). When you have a reputation like that, you don’t need a degree. All you need is the desire to teach. That said, these professors are not often hired for full-time positions. It’s usually contract work. Universities typically have a conservatory program as well, which is usually housed separately from the rest of the school. Faculty is usually hired based on their expertise and training. It’s common for the faculty in conservatories to have PhDs in music. As faculty, professors are expected to teach students private lessons and to lead ensembles. They may also teach actual classes (theory, history, recording techniques, composition, and more). Advanced musical education or an impressive resume as a musician. Most professors have at least a Master’s if not a PhD. Either that, or they have immense experience as a musician. Often, they’ll have both. High level of expertise on an instrument or subject. If you’re teaching music theory, you’ll probably have majored in that subject – same thing for music history. If you’re a piano professor, you have to be an expert. If you are looking to become a music teacher, you are probably wondering how much you’ll get paid. Elementary/Middle School: $40,000 to $85,000 based on number of years worked/experience and education. High School: $40,000 to $85,000 based on number of years worked/experience and education. University/College: between $43,000 to $92,000 per year based on the contract, level of experience and the school. There are many ways to get into teaching music privately. You can start teaching out of your home, you can teach out of a studio, you can even start your own music studio. You should be able to play your instrument competently. You should be able to communicate ideas clearly. This probably means a level of knowledge on music theory, the ability to read music, and perhaps even some training on giving lessons. Plenty of patience. You need to have patience for students who have been forced into music lessons. You need to have patience for students who don’t show up or are showing up late. You need to have patience for parents. You just need a lot of patience. You need to like kids. Sometimes, private music teachers are just glorified baby sitters. You need to be able to enjoy the presence of kids, and have at least some interest in sparking their imagination and teaching them music. Beyond that, there are no rules. I would recommend getting your feet wet by teaching lessons out of a music store. They’ll do all of the admin work for you, and you can just learn how to teach. Go from there. The pay should never be less than $20/hr in my opinion. Although, when I started, I was getting paid $15/hr. This rate only goes up as you improve. I have been paid over $100 for an hour-long lesson before. Eventually, you’ll have to start organizing recitals, figuring out how to bill people, and acquire more students. Teaching privately can be very rewarding. You can develop great, long-lasting relationships with students and parents. Every successful musician has at least one amazing teacher in their past. The opportunity to be that teacher for someone is fulfilling. As far as getting the job, your best bet is to just apply at a music store. They are always looking for more teachers. Start off with a couple weeknights, and build your practice from there!